Archaeologists are rushing to Palmyra to assess the damage after the ancient city was recaptured by the Syrian army in a bloody battle that culminated on Sunday. 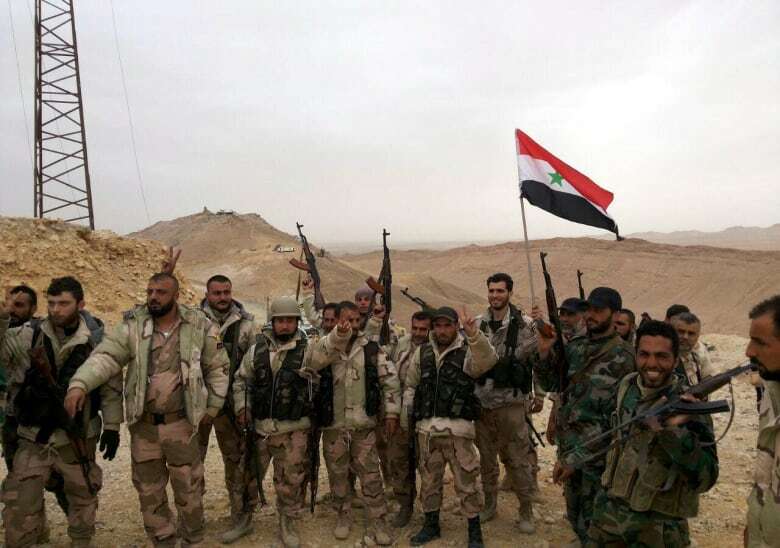 Palmyra was recaptured from ISIS by Syrian troops. Syrian government forces backed by heavy Russian air support drove Islamic State fighters out of Palmyra on Sunday, inflicting what the army called a mortal blow to militants who seized the city last year and dynamited its ancient temples. The Syrian Arab News Agency (SANA) supplied this image of government forces in the ancient city, also known as Tadmur, a UNESCO World Heritage Site, on March 26. Now archaeologists are rushing to the ancient city. 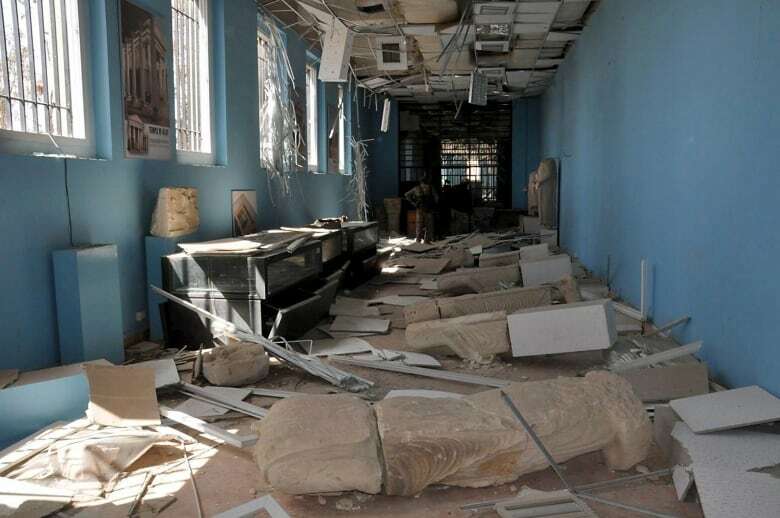 After Palmyra's recapture from ISIS, Syrian antiquities experts said Monday they were deeply shocked by the destruction the extremists had carried out inside the town museum, with scores of priceless relics and statues demolished. That's Palmyra castle in the background on March 27 and an interior view of a heavily damaged corridor in the main museum. 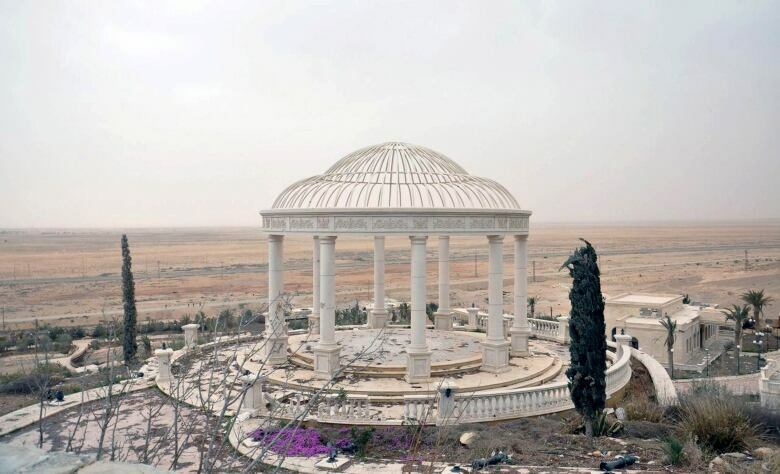 Palmyra, which is located in Homs province, was captured by the jihadist group in May last year, and many of the city's Roman-era relics were labelled false idols and blown up. 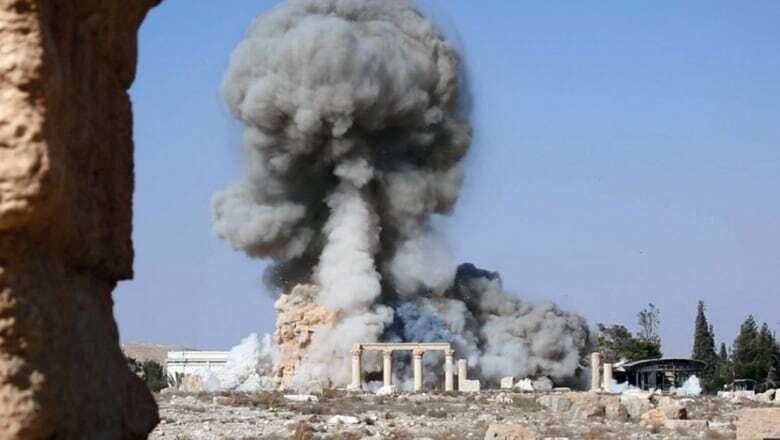 This shot was posted to an ISIS-affiliated social media account in August and purports to show the destruction of the temple of Baalshamin, another 2,000-year-old building in Palmyra complex. UNESCO called its destruction a war crime. ISIS has imposed a violent interpretation of Islamic law across the territory it controls in Syria and Iraq and claims ancient relics promote idolatry, though the group is also believed to have sold off looted antiquities for significant sums of cash. The Arch of Triumph was destroyed in October. The monumental arch, which sat atop the famed colonnaded streets of the ancient city, was one of the most recognizable sites in Palmyra and linked it to the Roman Empire, Persia and the East. The Temple of Bel fell last summer. 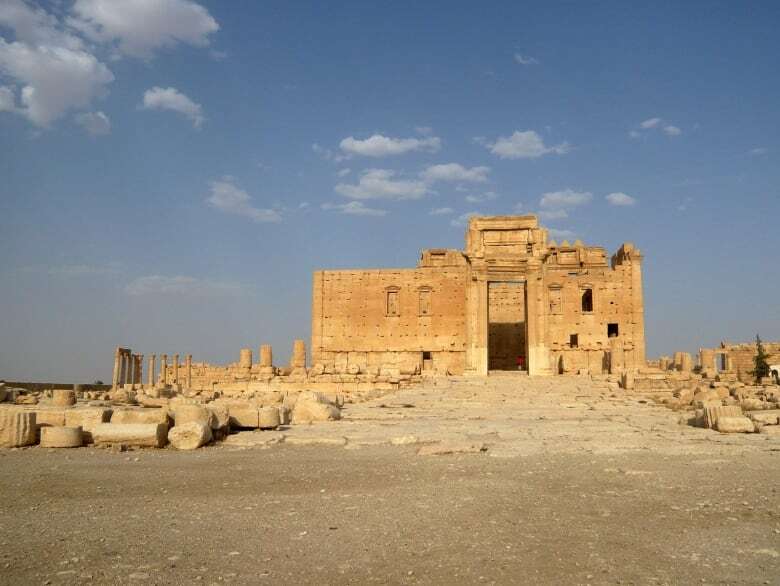 The Temple of Bel, believed to have been built during the reign of King Solomon, fell on Aug. 30, 2015. 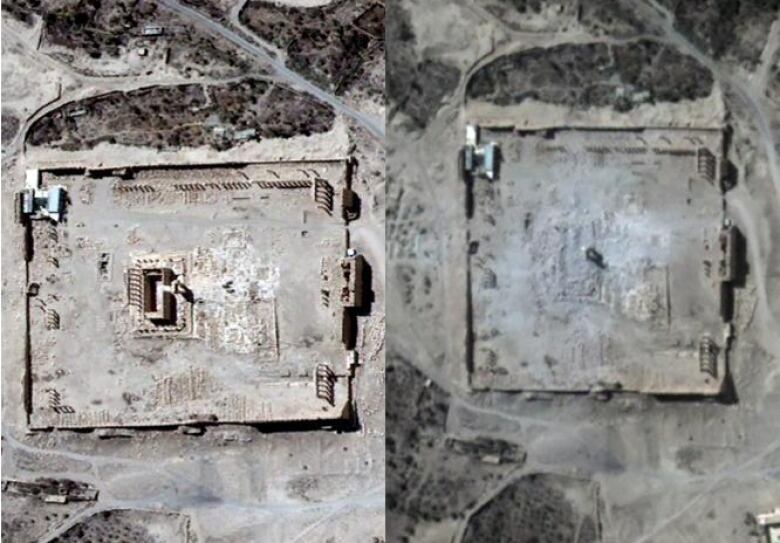 The destruction of the UNESCO-recognized heritage site was confirmed in satellite images released by the UN. The picture on the left shows the site intact on Aug. 27. Below is the temple in August 2010. The loss of Palmyra is the first major blow to ISIS in a year. The recapture of Palmyra by Syrian government forces scored an important victory over the Islamic State's 10-month reign of terror there. It also marked the first major defeat for the extremist group since an international agreement to battle terrorism in the fractured nation took effect last year. 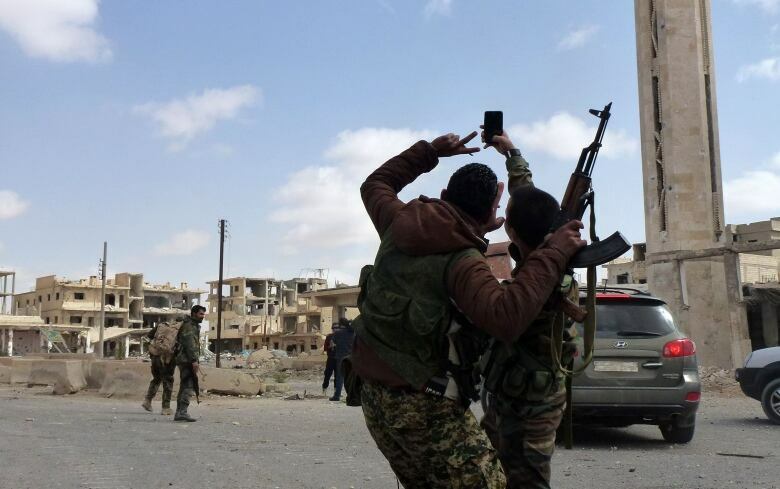 These Syrian troops snapped a selfie to celebrate their victory on Sunday after a bloody battle. 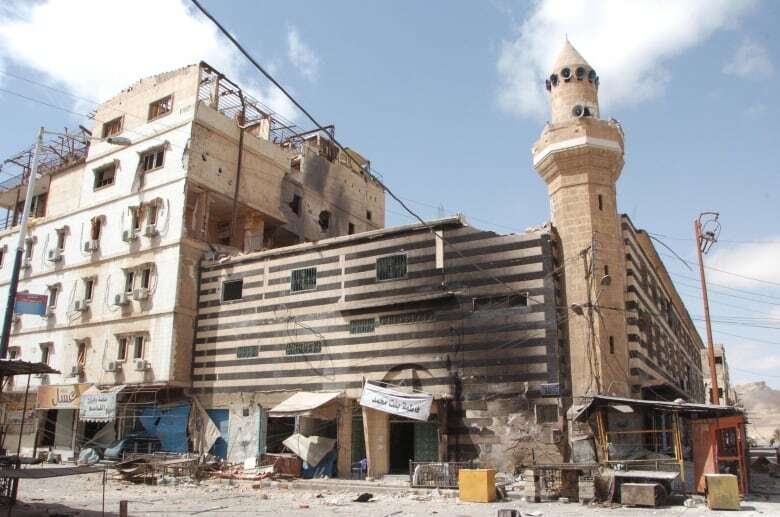 Syrian forces avoided additional damage to monuments. During the fighting for Palmyra, Syrian forces avoided inflicting additional damage to its monuments, according to Amr al-Azm, a former Syrian antiquities official who is now a professor at Shawnee State University in Ohio. Al-Azm spoke to The Associated Press via Skype on Monday. Images released shortly after the liberation of Palmyra do show damage to the city's more contemporary residences, though. 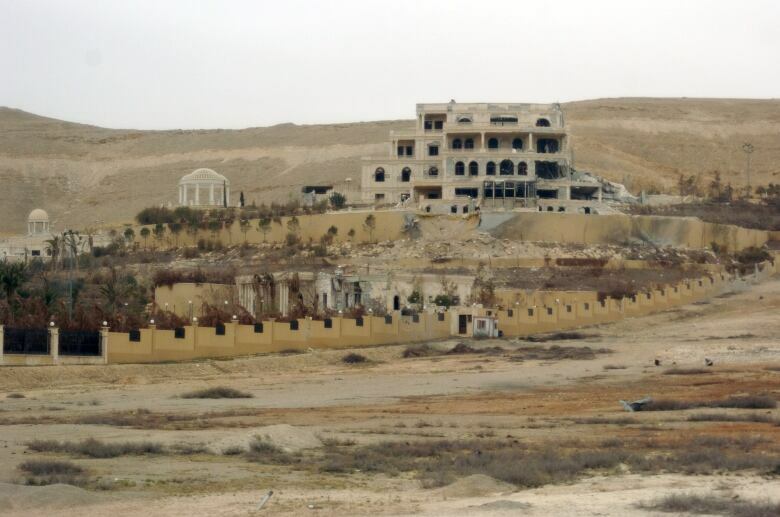 These shots, taken on March 27 and March 24, show a heavily damaged neighbourhood of the modern town of Palmyra and a bombed-out mansion belonging to the Qatari royal family on the city's outskirts. Retaking of Palmyra latest in an attempt to keep ISIS on its heels. 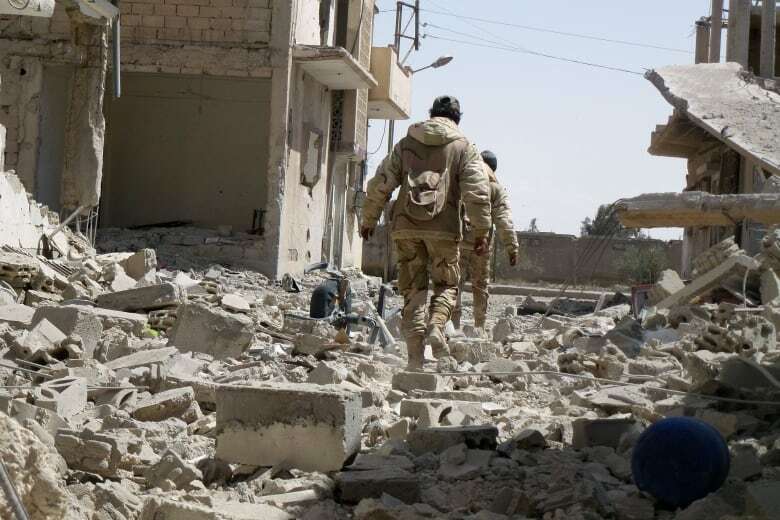 The Islamic State's ejection from Palmyra comes three months after it was driven out of Ramadi, in neighbouring Iraq, in the biggest victory for that country's army since it collapsed in the face of an assault by the militants in June 2014. ISIS has lost ground elsewhere, including the Iraqi city of Tikrit last year and the Syrian town of al-Shadadi in February, as its enemies push it back and try to cut links between its two main power centers of Mosul in Iraq and Raqqa in Syria. 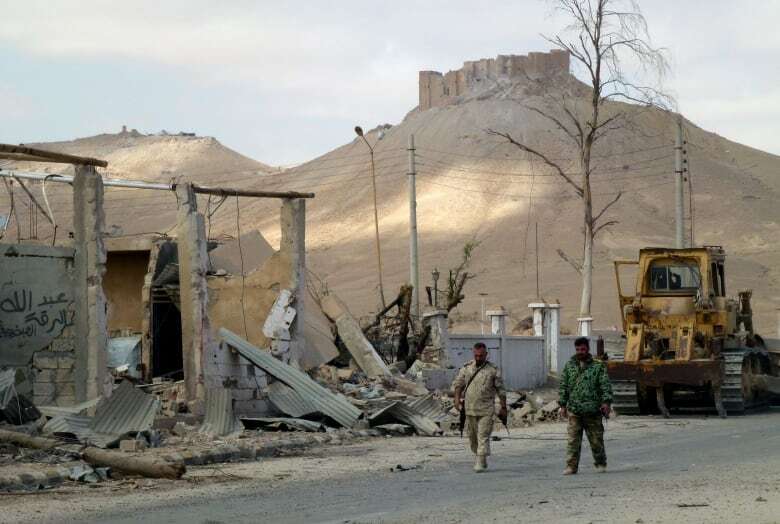 Here, Syrian troops inspect the rubble of damaged homes in Palmyra on March 27.